The outgoing EWG, with 2018 mentor. 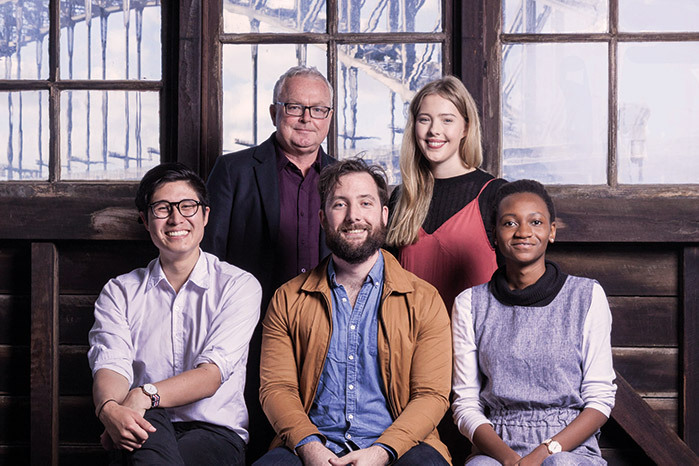 Clockwise from top-left: Andrew Bovell (STC's previous Patrick White Fellow) Emme Hoy, Moreblessing Maturure, Julian Lamach and Disapol Savetsila. This episode features a conversation between two of the outgoing members of STC’s Emerging Writers Group, Moreblessing Maturure and Emme Hoy. The Emerging Writers Group aims to support the professional development of emerging playwrights by expanding their skill sets, artistic vision and professional networks. STC is seeking final submissions for the next group, with applications closing on Monday the 8th of April. Head here for more information. STC acknowledges the Copyright Agency’s Cultural Fund for supporting this project.